Juniper Berries are spicy, sweet, with a piney aroma. They are delicious in stews and soups and with meats and are a common flavor ingredient in bitters. Owing to its support of urinary tract health, cornsilk has traditionally been used to address concerns of the kidney, prostate, and bladder. 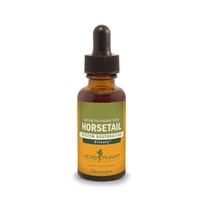 * This loose bulk herb blend, formulated by Medical Herbalist Claudia Wingo, can be used to soothe an inflamed urinary tract while ridding the body of any underlying infection. Suppositories. Also known as Bearberry, this herb has a long history of use for urinary tract infections. A source of the phytochemical arbutin, it is metabolized by the kidneys and excreted as antibacterial hydroquinones. Hydroquinones are an active antimicrobial especially in alkaline urine (do not use with Cranberry juice). It is useful for cystitis, urethritis, prostatitis, and mild nephritis. Uva-Ursi is contra-indicated for pregnant women. Kidney & Bladder function are essential to healthy and proper waste elimination by the body. The herb is extracted in small batches with Certified Organic cane alcohol for potency and to maintain the balance of phytochemicals as they exist in the plant. We assure herb identity via macroscopic and organoleptic analysis, then confirm it through methods such as HPTLC fingerprinting specific to each herb. 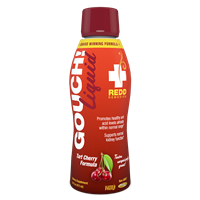 Our liquid extracts are easily dispensed, taken in liquid form and added to water or other liquid. supporting normal fluid elimination. The gentle freeze-drying technique used preserves the natural constituents present in our organic Cranberries to resemble the form used in clinical studies. Cranberry, a small evergreen shrub, grows in damp bogs from Alaska to Oregon, and on the eastern coastline. Cranberries have been consumed for their tangy, refreshing taste, and naturally contain minerals and the antioxidant vitamins A and C. They are rich in antioxidant flavonoids (anthocyanidins) to protect your body from free radicals. Historically, Native Americans used Cranberries as food and for health benefits, and in the early 1800's German scientists began researching its effect on urinary tract function. Freeze-drying these berries helps to maintain and preserve the valuable constituents found in the fresh berries. Two capsules provides 1000 mg of Cranberry Extract (Cran-Max® 34:1) and 1 billion cells of L. gasseri, B. bifidum and B. longum for urinary tract health. botanicals such as garlic, isatis, and andrographis. Saw Palmetto is a relaxing herb with a normalizing effect on the prostate and hormone levels. It is commonly used in treatment for enlarged prostate or BPH (benign prostatic hypertrophy). Provides holistic support for your prostate health, supporting normal urine flow. UT Soothe™ contributes to overall urinary tract and bladder health while promoting healthy probiotic levels. * Provides holistic support for your prostate health, supporting normal urine flow.